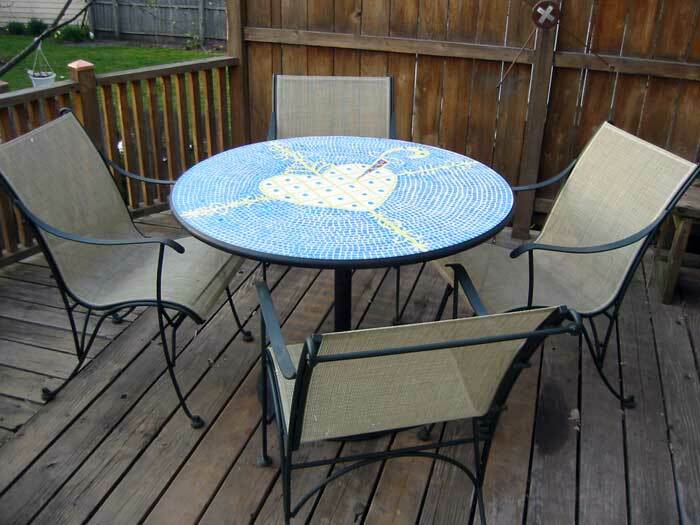 vitreous glass, glass gems, steel table. 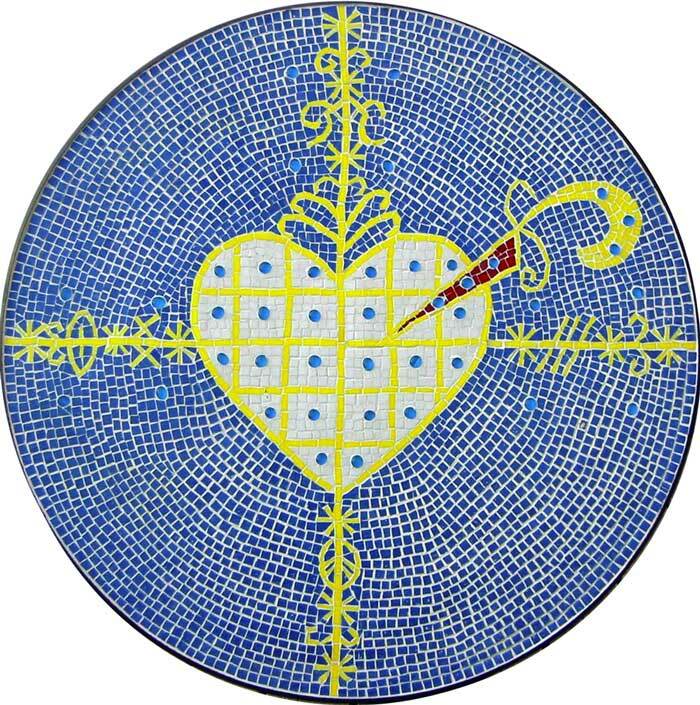 Laurie Beasley of Ridge Art commissioned this table, featuring a version of the Vévé for Erzulie, the Haitian goddess (Lwa) of love. My mosaic of the Vévé for Erzuli was also later used in the cover design of Envisioning Black Feminist Voodoo Aesthetics: African Spirituality in American Cinema by Kameelah L. Martin.